As an online business owner, I spend 85% of my time on outreach, outbound marketing and blogging. But trust me, it’s exhausting and frustrating, especially when I feel like I’m reaching out to the same audience with minimal return. I need a larger fan base. People that are actually interested in my products! So I took to Google to find out how I can grow my subscriber lists. And honestly, the best way to reach the people you want is to provide them with information they way. Create shareable content and push it as much as possible. You won’t start to see those returns however, unless you are capturing the information of everyone who’s enjoying your content. So below, I’ve done the research for you (whew!). I built a list of the 9 easiest, quickest, cheapest and most effortless ways to kick off your lead generation campaign. 2. Create remarkable content and throw a CTA as well as social shares at the end of it! This goes without saying, but you need to create content that your audience actually cares about. This will get the shares and forwards more than anything else. But make sure your putting a CTA at then. 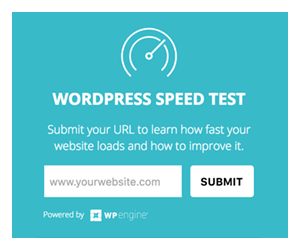 For help with this, you can use plugins like WordPress Calls to Action. 3. Dress up your email signature. Add a CTA link at the bottom or yours and your employee’s signatures always asking for an opt-in. Use just a simple hyperlink or design a more extensive CTA, either is fine. Now that you’ve got a stepping stone, it’s time to get moving. For all the effort you put in online between social media, building your website, selling your products and generally getting your brand out there, it’s time to start bringing more customers back in. Let your content do the work for you. Send leads into your CRM, and start to plan your Email Marketing Campaign. For more information and general startup resources, check out www.launchbasket.com.